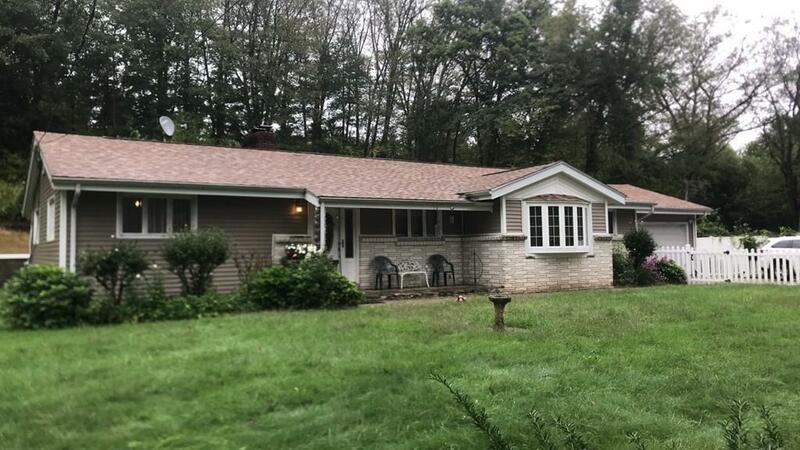 Custom Ranch in Wilbraham has been recently renovated for easy maintenance free living. Offering 7 rooms, 4 bedrooms, 2 baths with master suite, living room with fireplace, custom kitchen with granite. Featuring newer vinyl siding, newer roof, c-tile and hardwood floors throughout and 2 car garage with new driveway. You'll enjoy the privacy in the covered patio, partially finished basement with kitchen, central air and wood stove attached to the ductwork for extra heating option. Centrally located close to all amenities including easy access to Mass Pike. Listing courtesy of Tony Bernardes of The Property Shop Real Estate. Listing provided courtesy of Tony Bernardes of The Property Shop Real Estate.